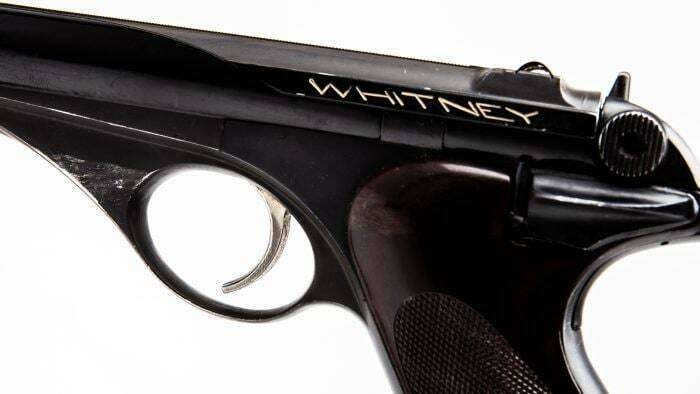 From the wide range of options in the Guns.com Warehouse, we bring you one of the neatest 1950s-era plinkers ever fielded, the Whitney Wolverine. 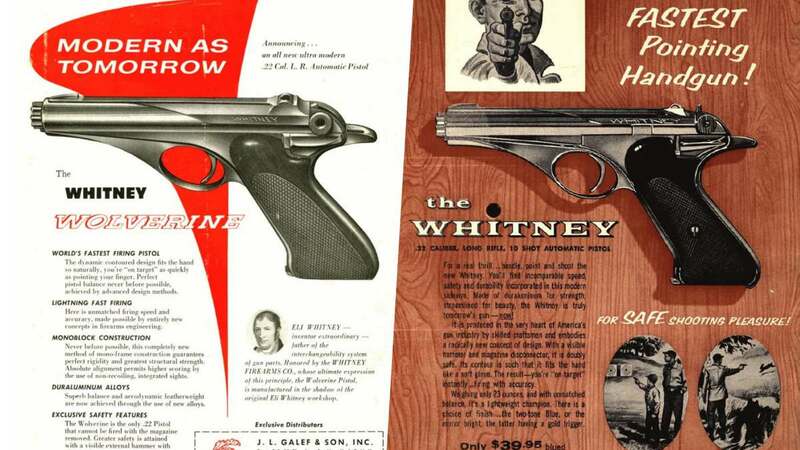 For the low-low price of just $39.95, the Whitney Wolverine was billed as the world’s fastest pointing AND firing pistol with “never before possible” monoblock construction, and exclusive safety features– no extra charge for its Flash Gordon/Buck Rogers ray gun vibe. 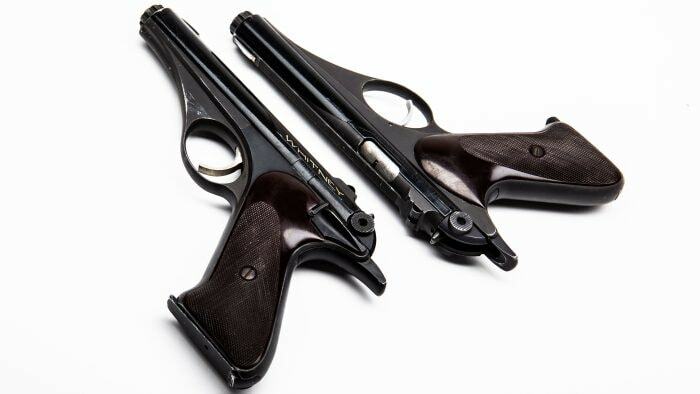 The Wolverine used a 4.65-inch barrel inside an aluminum alloy frame with barrel shroud to produce a gun that was a “featherweight” at 23-ounces. Plastic grips and “non recoiling” sights completed the package while a 10-round single stack detachable magazine was held in place with a heel release. 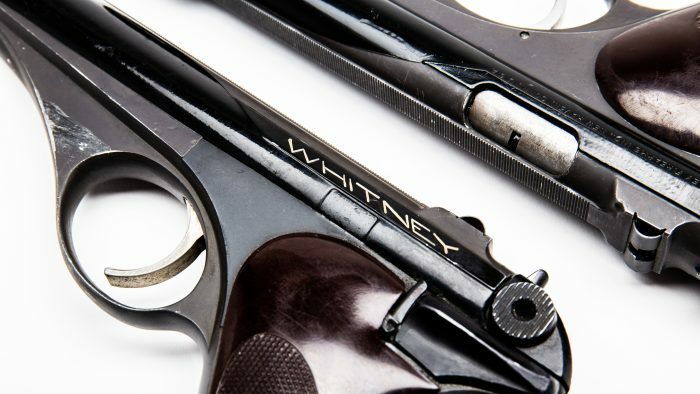 In production for less than a decade, Whitney was gone by 1962 and an estimated 13,000 blued models were produced– of which we have at least two in stock. The nickel-finished version is much harder to lay hands on, with about 900 made. The end of the Wolverine, however, was not the end of Hillberg. Over the years, he took out more than 30 patents while working for not only traditional gun and munitions makers like High Standard, Wildey and Olin but also flare gun maker Bellmore Johnson Tool Co, remaining active well into the 1980s. He even created a Vietnam-era shotgun intended for guerillas, named the catchy Hillberg Insurgency Weapon, which lived on as the ill-fated Winchester Liberator. 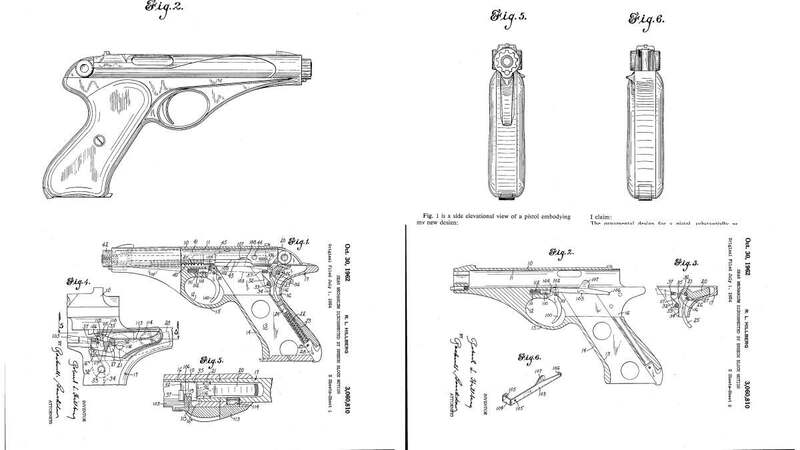 One of his final designs to see production was the COP, a 4-barreled pistol chambered for .357 Magnum, which was produced by American Derringer. To see more on Guns.com’s own stable of Wolverines, be sure to check them out and head back from time to time and see what else we have on hand. Also, if you have one for sale, we can handle that, too.